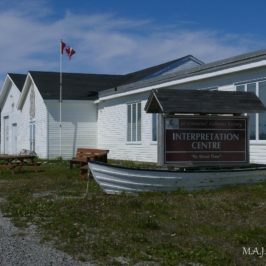 A tiny, isolated town on Newfoundland’s rugged northern coast, Botwood claims a bold place in aviation history as the North American terminus for the first transatlantic flights. 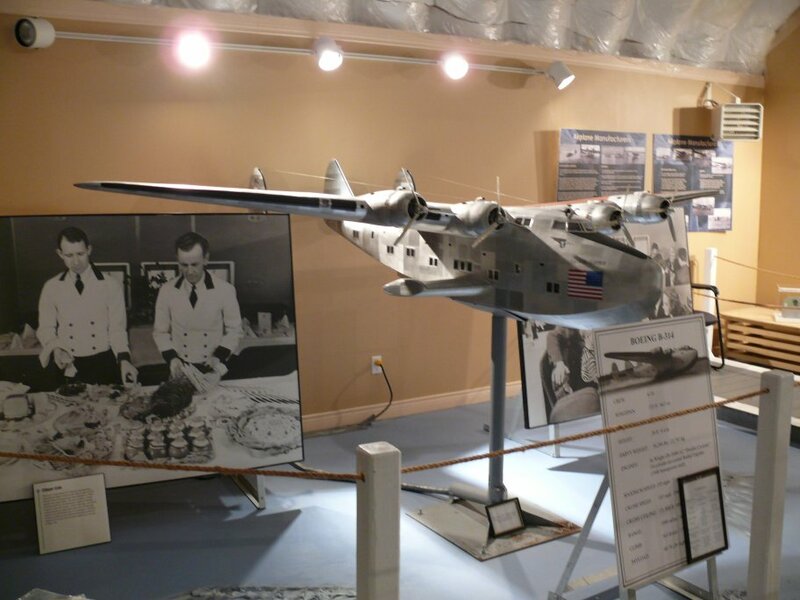 Now the historic town offers visitors an up close look at the curious ‘flying boats’ that made transatlantic air travel possible. 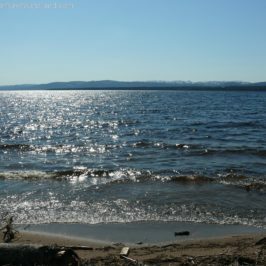 The north-central town of Botwood—population 3008 as of 2011—boasts some impressive claims to fame for such a small settlement. Entertainer Bob Hope, U.S President Franklin Delano Roosevelt and British PM Winston Churchill have all laid their much celebrated heads in the town, which also holds the distinction of being the site of the first act of WWII in North America. It’s a fact that Charles Lindbergh and his wife visited the town on their travels, and it’s even rumored that Ian Flemming’s 007 himself once lived there. 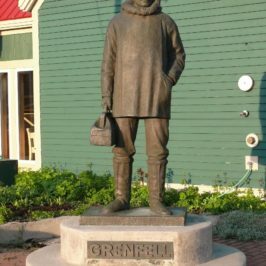 But arguably Botwood’s greatest historical distinction is embodied in the curious ‘flying boats’ that made the small town their transatlantic port of call from 1937 to 1945 and opened up transcontinental travel in the days when traversing between the old world and the new was still very much a time-consuming and risky undertaking. Transoceanic flight wasn’t anything new in the early 1900’s. Passengers and cargo were regularly transported to and fro between points in North America, Europe and Asia. But those brave enough to undertake such an air journey would perforce be crossing the vast Pacific Ocean and could expect numerous lengthy refueling stops along the way. A shorter transatlantic route, if one could be accomplished despite the challenges of weather and the dearth of potential service points, would greatly decrease aviation costs and increase the efficacy of trans-continental travel. Enter Botwood and the flying boats. The natural advantages of the town’s deep, sheltered and fog-free harbour and its propitious situation along the shortest overseas air route, soon brought the town to the attention of both Pan American Airlines and British Imperial Airways, who selected it as their joint North American base of operations, launching the first continual commercial transatlantic service. 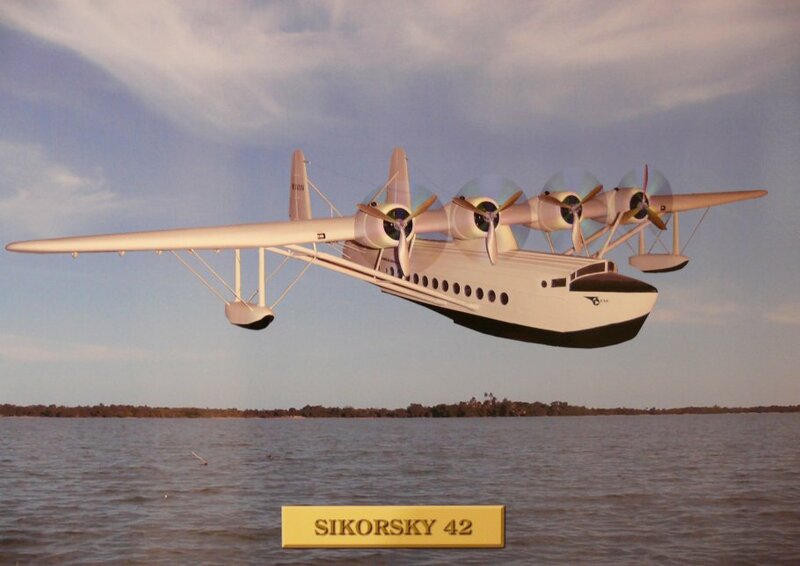 On the sixth day of July,1937, the Clipper III, a craft similar to the Skwarski 42 pictured below, departed Botwood Newfoundland en route for Foynes, Ireland just as the small flying boat Caledonia was leaving Foynes, Ireland en route for Botwood, Newfoundland. With the successful touchdown of the latter in Botwood’s calm harbour, the era of transatlantic commercial flight was born. Part aircraft and part ship, the largest of these curious seaplanes—the largest passenger aircraft of the time, in fact—was the Yankee Clipper, a Boeing B-314 that measured in at a full 109 feet long and offered unrivaled luxury to travelers. Dining room, dressing rooms, bar and lounge were manned by a crew of 8 liveried attendants. On any flight a whopping 72 passengers could be accommodated, 40 of whom could avail themselves of private sleeping accommodations. The craft even boasted a spiral staircase and bridal suite for newlyweds. The Yankee Clipper touched down in Botwood’s harbour on June 27, 1939 on its final stop before crossing the Atlantic en route to London, England. With the maiden flight of Pan Am’s luxurious flying hotel, the era of transatlantic passenger travel was set in full swing. Needless to say, the transportation service offered by the flying boats was crucial throughout the war years. During WWII, strategically placed and geographically blessed Botwood saw it’s share of the wartime milieu as a highly militarized RCAF reconnaissance base, one which was instrumental in denying Germany easy entrance into North America. The expansion of the site and it’s operation as an anti-submarine airbase allowed British and American airlines to provide commercial and passenger transportation to and from Europe as the war continued. Indeed, it was the only such passenger transportation available. Anyone entering or leaving the North America was doing so via Botwood and one of the famous flying boats. Botwood continued to be a main stop on the transatlantic route up until the advent of greater technology that would make the flying boats obsolete and their purpose redundant. By 1945 the flying boat was retired in favor of newer, faster, land based aircraft that could traverse the North Atlantic more swiftly and efficiently—a sad end for a pioneering vessel that brought the world to the tiny town of Botwood, Newfoundland and transatlantic travel to the world. 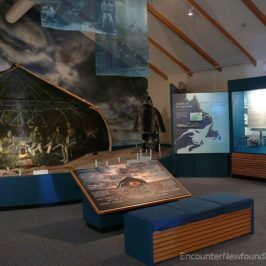 The flying boat’s history, however, is faithfully preserved in Botwood, a town that actively maintains its ties with the past by way of dedicated preservation efforts. Inside the Botwood Flying Boat Museum the glory days of the magnificent aircraft live on by way of photos, murals and scale models. Here visitors can explore the era of the flying boats in surprising detail. A stroll through the exhibits is accompanied by the muted roar of plane engines as an electrically powered Boeing B-314 revs to life, its whirring propellers triggered by motion sensors. 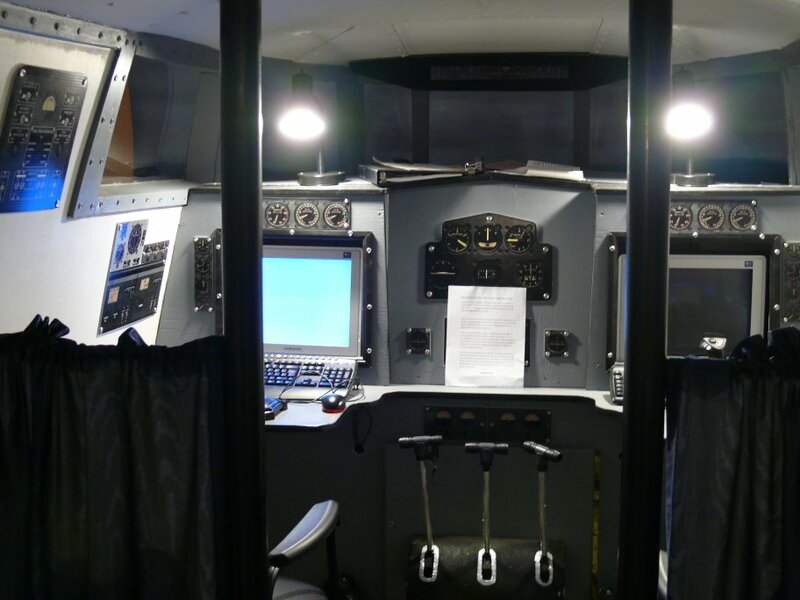 Museum goers can also enjoy a turn in the flight simulator. Fire up the engines from the replicated cockpit and take a flying boat for a jaunt out over Botwood’s Notre Dame Bay to get a feel for what it was like to pilot one of these gigantic seaplanes. Careful on the landing…it’s trickier than it looks! 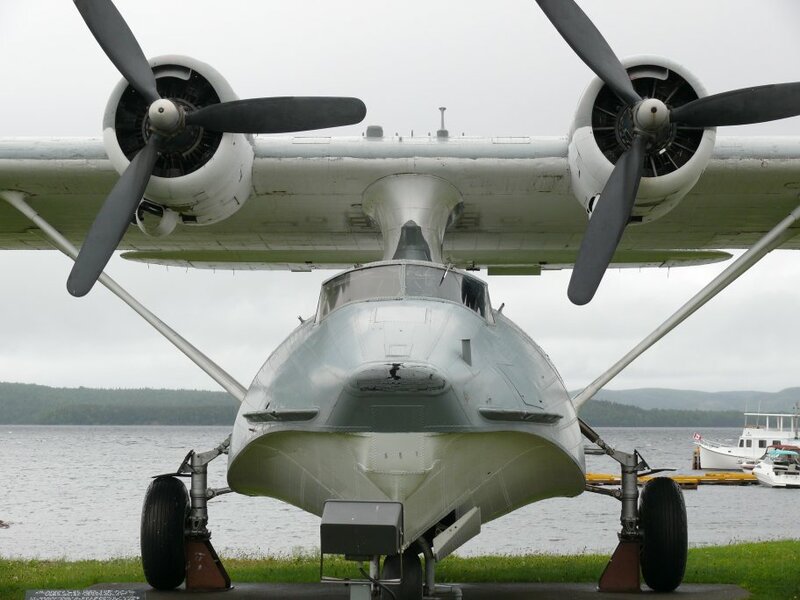 History buffs, aviation aficionados and children of every age will enjoy the interactive and educational experience that is Botwood’s Flying Boat Museum. 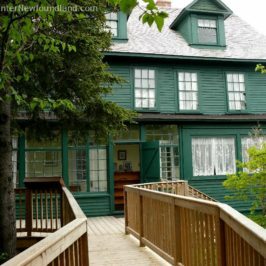 Visitors to the premises aid the town’s preservation efforts, helping to keep this little known yet significant chapter of Newfoundland history alive. Admission: $4.00 for adults, $2.00 for students. Admission to both the Flying Boat Museum and the nearby Heritage Museum is $6.00 for adults and $3.00 for students. Children 12 and under are admitted free under adult supervision. Open Mid-June to September 30, daily, from 10:00 am to 8:00 pm. In 1991 best-selling British novelist Ken Follett, author of the much vaunted Pillars of the Earth and World without End, immortalized the era of the flying boats and the small town of Botwood in his novel Night Over Water. In the critically acclaimed work he includes a scene in which the flying boat Pan Am Clipper, carrying an intriguing group of passengers–a thief, an actress, a princess, a scientist and other equally diverse personages–makes a stop-over in the tiny town as the unlikely companions flee the war in Europe.